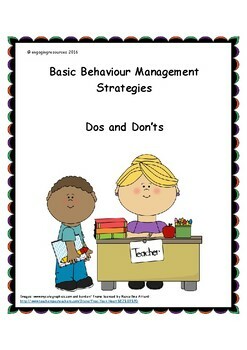 Whether you are a new to teaching, need a new perspective or looking for something to use in your next behaviour management professional development this document is for you! 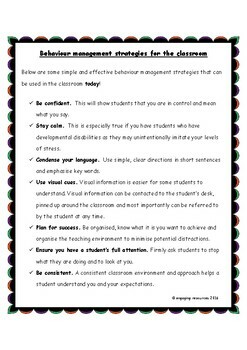 The resource includes a 5 page outline on simple does and don’ts of classroom management that you can implement today. Please rate if you found it useful! 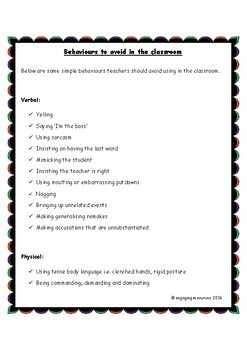 Visit my store to see my other excellent resources.